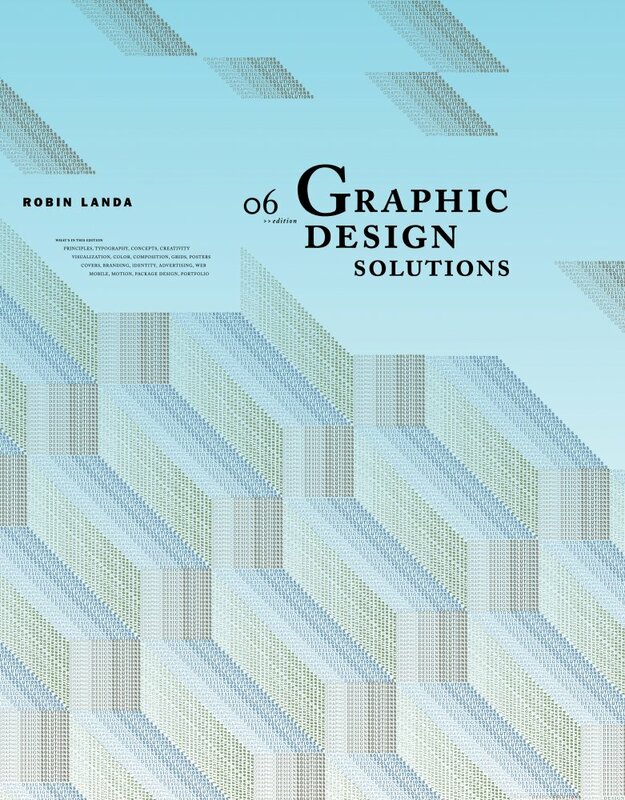 Book Description: Graphic Design Solutions is more than a book—it’s pedagogy—it’s any educator’s rich instructional resource. I provide an instructor’s manual, syllabus, teaching methodology, rubric, PowerPoint presentations, and quizzes that complement challenging exercises and projects for several core courses—including Graphic Design 1 & 2, Type 1, Identity Design, and Advertising Design. Basic design principles for courses in poster design, book cover design, motion, web and mobile design are also included. 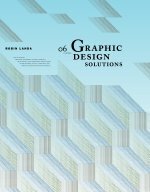 Graphic Design Solutions, 6th edition, is the most comprehensive textbook and reference on graphic design for print and screen media. Author bio: Robin Landa holds the title of Distinguished Professor in the Michael Graves College, Kean University, and is a Chair of Design Incubation. 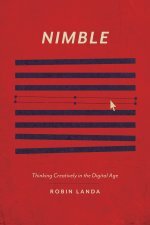 She has written twenty-three books about creativity, design, advertising, and drawing, including Graphic Design Solutions, 6th ed. (Wadsworth), Advertising by Design 3rd ed. 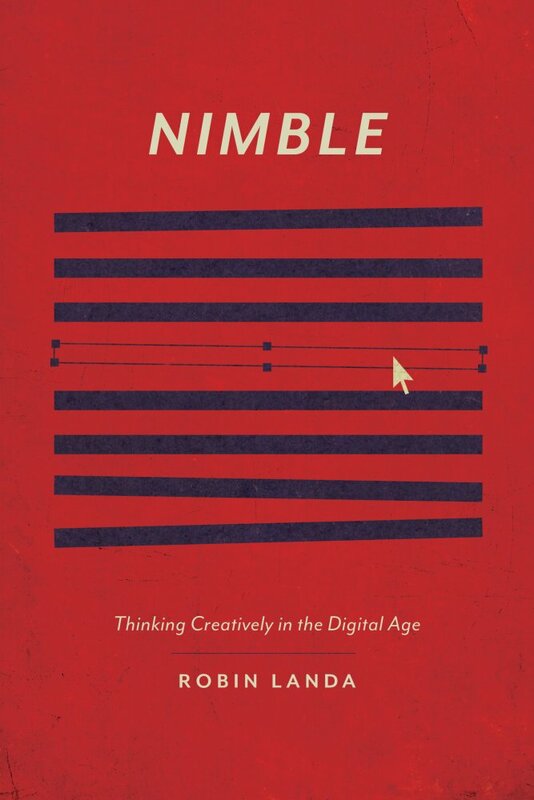 (Wiley), and Nimble: Thinking Creatively in the Digital Age (Simon & Schuster). Robin’s essays defining Graphic Design and Advertising will be published in the SAGE International Encyclopedia of Mass Media and Society. Wiley published her essay in Leadership in the Creative Industries. Robin has won numerous design, branding, and writing awards, including awards from the National Society of Arts and Letters, the National League of Pen Women, and she received the Human Rights Educator award. As a chair of Design Incubation, Robin co-facilitates the Writing Fellowship and has chaired design colloquia and mentors junior faculty. Crack the Spine literary magazine published Robin’s story, “Just Desserts,” in Issue 236, and nominated it for the Sundress Publications “Best of the Net 2018” award. Recently, Robin presented on the subject of personal branding at Columbia University’s Strategic Communications grad program. Robin is working on a new book with Rich Tu, VP of Brand Design at MTV.